The equations used to describe dynamic properties of physical systems are often nonlinear, and it is rarely possible to find their solutions. Although numerical solutions are impractical and graphical techniques are not useful for many types of systems, there are different theorems and methods that are useful regarding qualitative properties of nonlinear systems and their solutions—system stability being the most crucial property. Without stability, a system will not have value. 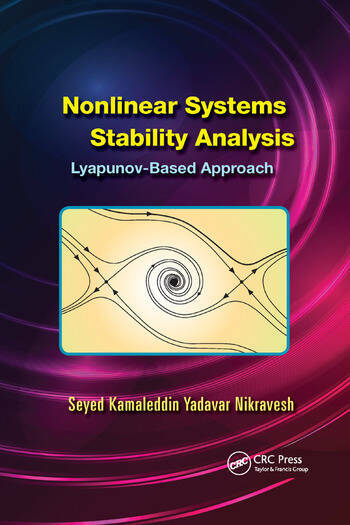 Nonlinear Systems Stability Analysis: Lyapunov-Based Approach introduces advanced tools for stability analysis of nonlinear systems. 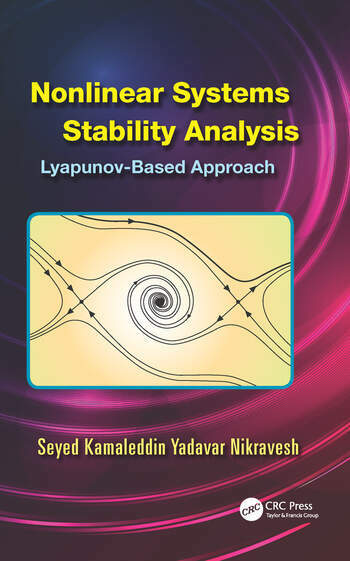 It presents the most recent progress in stability analysis and provides a complete review of the dynamic systems stability analysis methods using Lyapunov approaches. The author discusses standard stability techniques, highlighting their shortcomings, and also describes recent developments in stability analysis that can improve applicability of the standard methods. The text covers mostly new topics such as stability of homogonous nonlinear systems and higher order Lyapunov functions derivatives for stability analysis. It also addresses special classes of nonlinear systems including time-delayed and fuzzy systems. Presenting new methods, this book provides a nearly complete set of methods for constructing Lyapunov functions in both autonomous and nonautonomous systems, touching on new topics that open up novel research possibilities. Gathering a body of research into one volume, this text offers information to help engineers design stable systems using practice-oriented methods and can be used for graduate courses in a range of engineering disciplines. Seyyed Kamaleddin Yadavar Nikravesh, Ph.D., is a professor in the electrical engineering department at Amirkabir University of Technology. His research interests include dynamic and biomedical modeling, system stability, and system optimization. He has published five different books on electrical circuit analysis, optimal control systems, industrial control system analysis, industrial control system synthesis and design, and system stability analysis: Lyapounov-based approach. He has also published more than 180 journal and conference papers, mostly in systems modeling, and system stability analysis and synthesis, which form the main structure of his present book.